January 3rd, 1969. 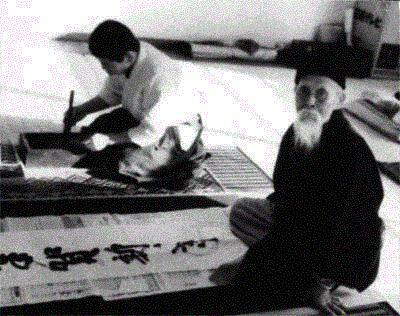 The Founder writes brush calligraphy on the second floor of Hombu dojo. The person making the ink is Mr. Kaneko. 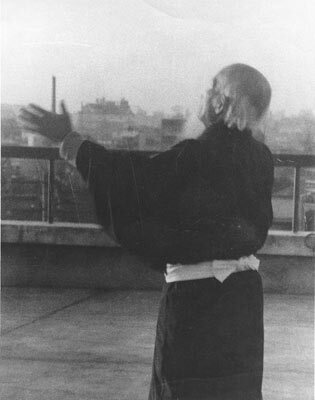 At the top right hand side of the photo is the Founder’s futon where he slept.